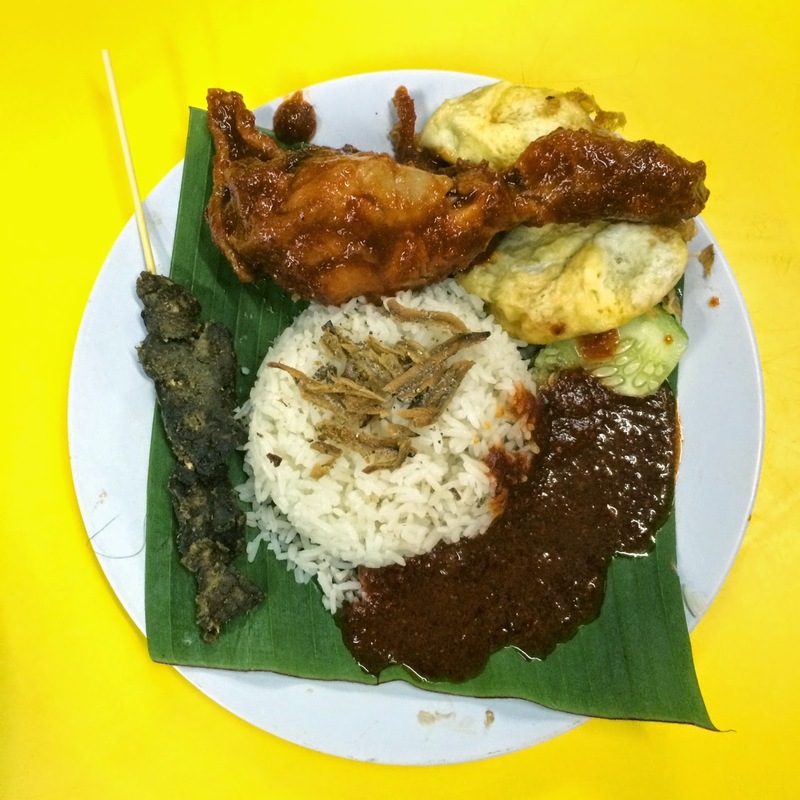 Are you a Nasi Lemak lover? Lover is such an understatement. I'm more of a Nasi Lemak addict, really. Love, love my Nasi Lemak. 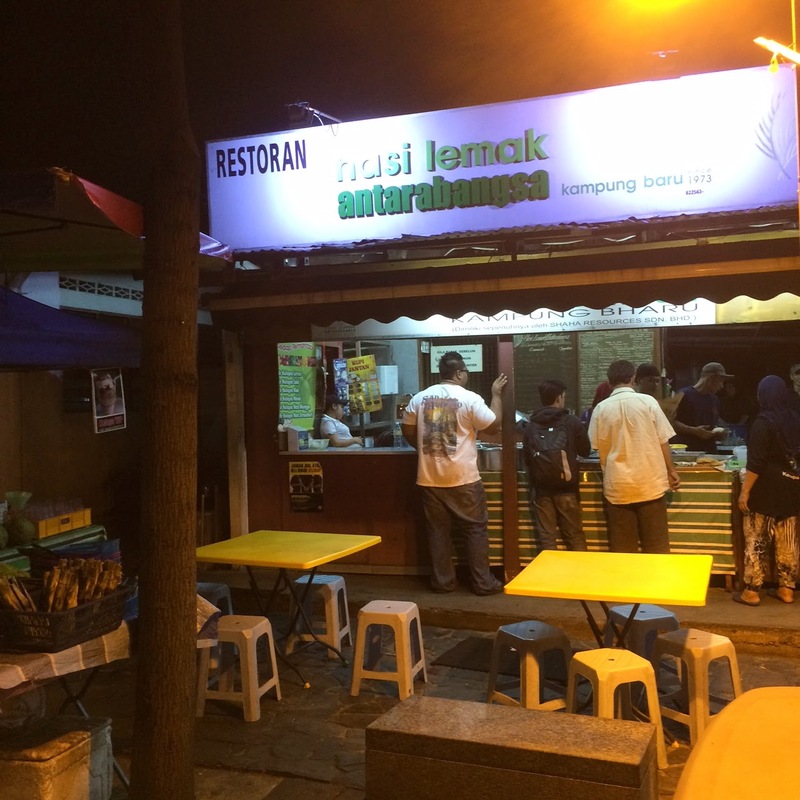 Where better to find the best Nasi Lemak than in Kampung Baru. The first name that comes to mind is obviously Nasi Lemak Antarabangsa. This place is really Muhibbah. 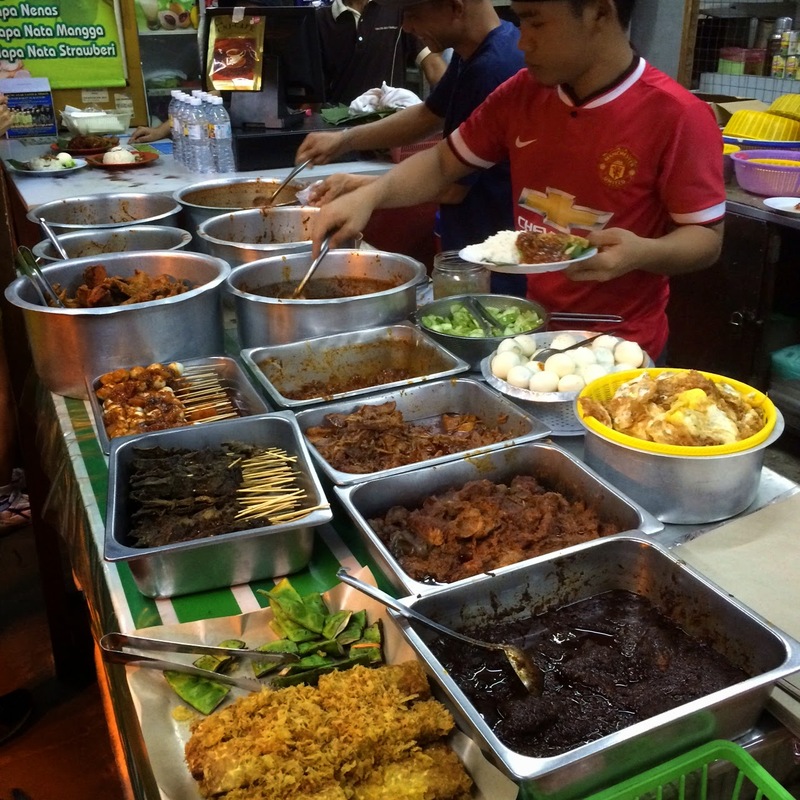 For years Nasi Lemak Antarabangsa has been serving their signature dish to Malaysians from all walks of life. Not wanting to sound cheesy here, but yeah, it's very 1Malaysia! 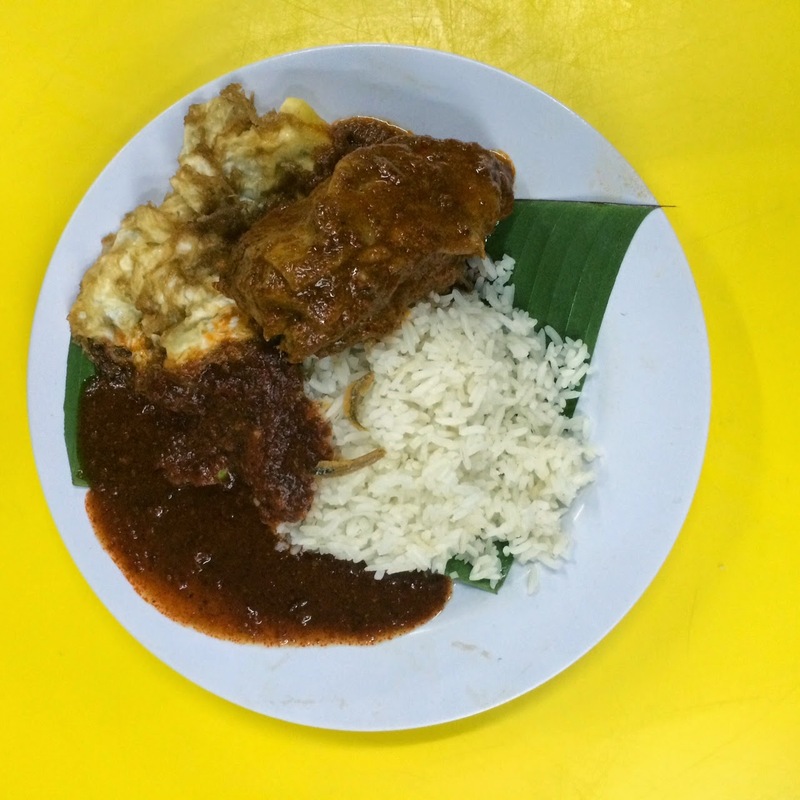 The Nasi Lemak itself costs RM1.50 but of course, you need to add the lauk. 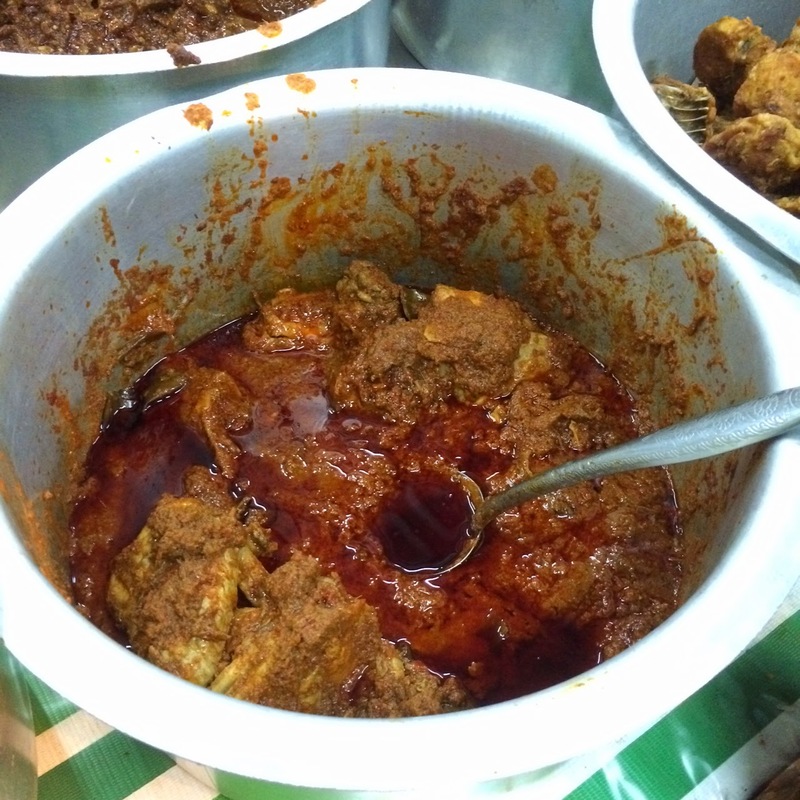 There's a variety of lauk to feast on such as fried chicken (RM5), beef rendang/masak merah (RM5), bergedil (RM3.30), chicken rendang (RM5.30). I wanted to try everything, but knowing that each lauk costs an average of RM5, I had to control myself......don't get too excited, yaaa? I went there quite late for dinner but I'm glad the rice is still hot. I love the sambal, it's not too spicy and there's a touch of sweetness. I read somewhere that it takes up to 6 hours to cook the sambal. 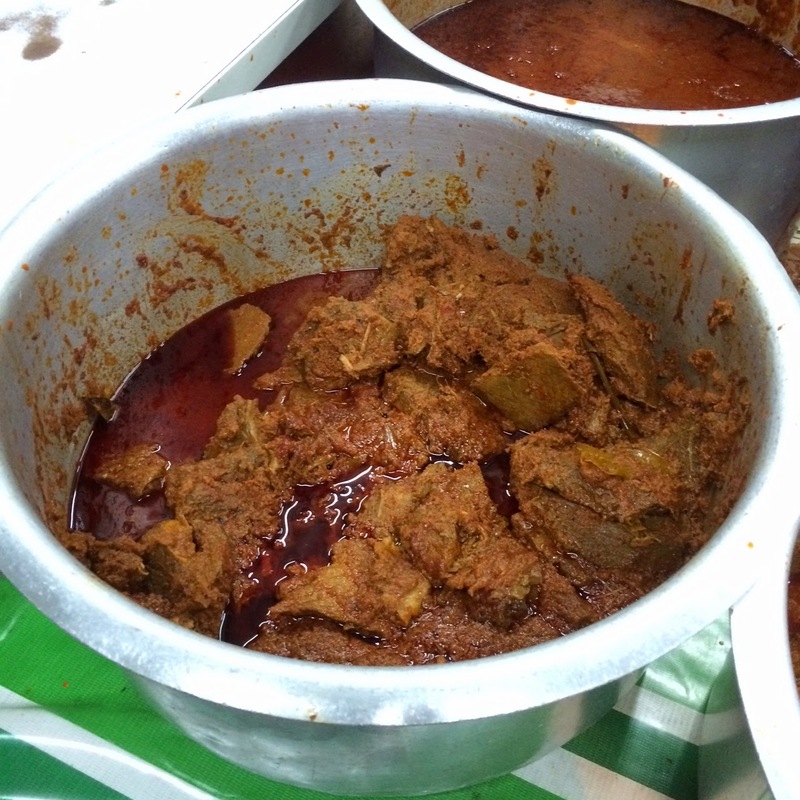 Now, that's an awesome sambal. It's really nice but you know what's missing? Peanuts!! To me, a plate of Nasi Lemak is not complete without my kacang!!! So need some dose of Nasi Lemak? This is the place, yo!